สระว่ายนํ้าเปิดให้บริการตั้งแต่เวลา 08:00 น. ถึง 20:00 น. Good location, Good shopping, Good swimming pool, Good View. Good Casino. Easy for take Bus because very near by the bus station. At night, good sighseeing. Very lighting. My first choice in Vegas! Love the location but not impressed with the room for a high price. I requested for a welcome 5th year anniversary but the hotel didn’t even recognize it and they put us in a room that is terrible in location. I wish I book in cosmopolitan instead because the price is almost the same but newer and also great location. I would only go back to this place if they will not charge so high. Third time I have stayed there. Great location. Lots nearby with the miracle mile shops and other places to eat and check out just outside the casino. Short walk next door to Bally's to get on the monorail. The Cosmopolitan is next door and a walking bridge over the boulevard away. This may become my go to place in Vegas. 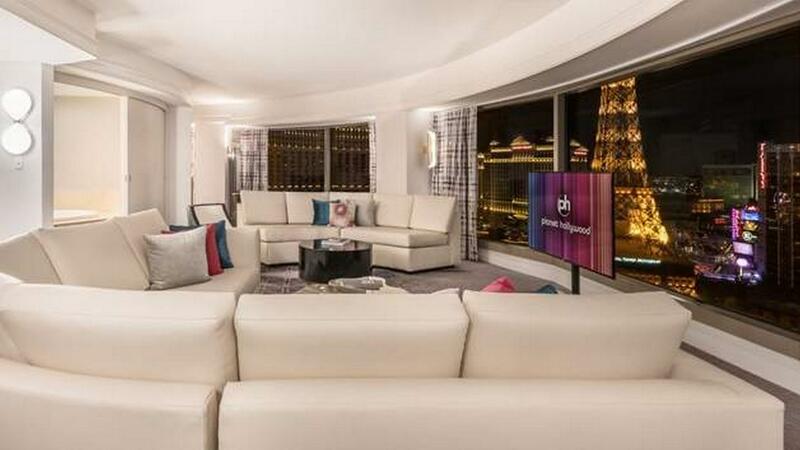 If you are a virign (1st time) traveller to Vegas, you might want to consider booking PH as the ideal place to stay. It has a good location on the strip housing Gordon Ramsay Burger and is near to Bellagio, Cesear Palace. Furthermore, there is a bustop about 5 minutes walk from the hotel where you can take either Deduce or SDX towards the premium outlet or Fremont. 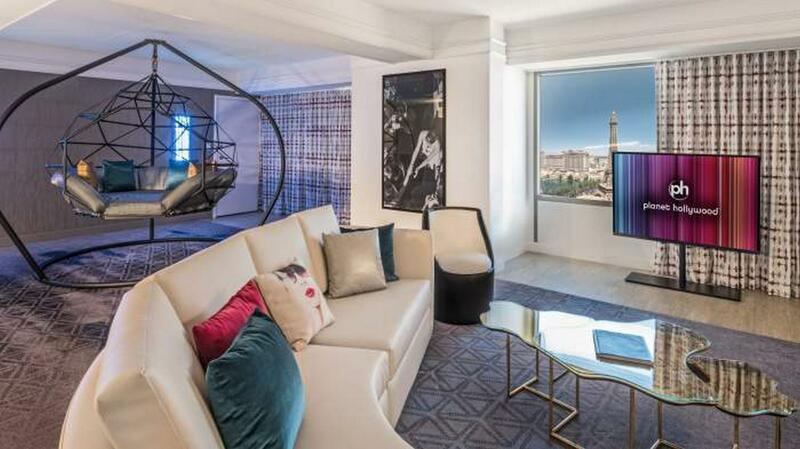 However, the hotel does not host the popular show such as David Copperfield, Circuil De Sol where it is host by MGM Grand, Bellagio and so forth. location is good, show (Britney) is good, value for money with the facilities and upkeeping hotel condition. baggage checked service counter is good. HOWEVER, there were a wet patch on floor carpet when we check in. quite strong smell of bleach when we 1st stepped in. Wifi service which charged money is very very slow. The room is spacious and pretty new. It is centrally located at Las Vegas strip and they provided free parking and free valet services which is pretty awesome. Would definitely stay there again if I ever revisit. I really enjoyed my stay at Planet Hollywood. From the prime location right in centre strip, I had a high room with awesome views of the strip, the Bellagio fountains, the Eiffel tower, and all the nightlife below. There are so many great places to eat right below, and the Miracle Mile shopping mall attached to the hotel, with all the top brands and eateries you can hope for. The room was great, clean, spacious and the staff were friendly and most helpful at all times. Recommend you stay and enjoy the casino and all it has to offer. Stay was good and the hotel is at the main strip and pretty much you can go anywhere and get anything within walking distance. Room is big and clean. I think it's value for money. The only thing is that parking is a bit far but you can always count on valet parking..no charges but you only need give tips. Overall it's a good hotel to stay in Las Vegas. we loved our stay it was convenient to everything we attended a show here which was fantastic the staff made us feel comfortable the rooms where amazing great place to stay relax and walk to other places from. 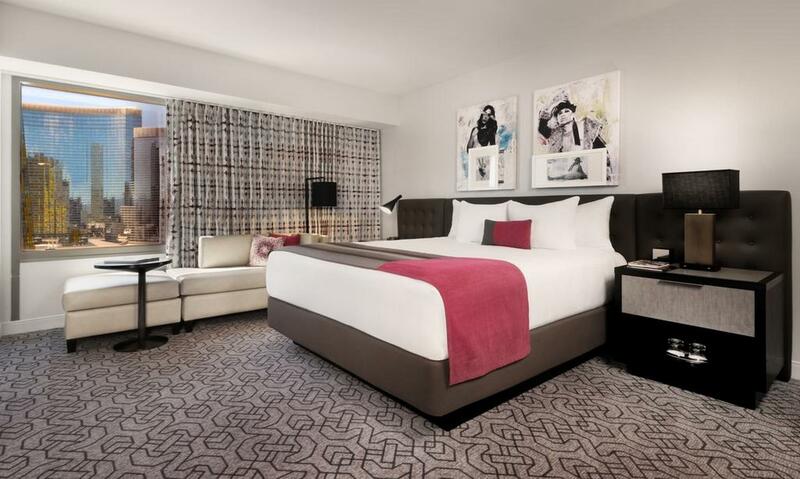 We were upgraded at no charge to a fountain view room during Memorial Week 2014 at no charge. Staff was friendly but checkout was slow. Buffet at Spice international was awesome, though slightly pricey. Small casino below, great for entertainment. Not really suitable for children though. Rooms were old and smells of cigarettes. Bathtub old and room decor dated. We had a room on 6 floor which had no view and near the pool level which was very noisy. If u are willing to pay more you can get a newer hotel across the street. However casino was nice downstairs and lots of food choices and we got a daily credit $18 from Starbucks Everyday for coffee and breakfast. 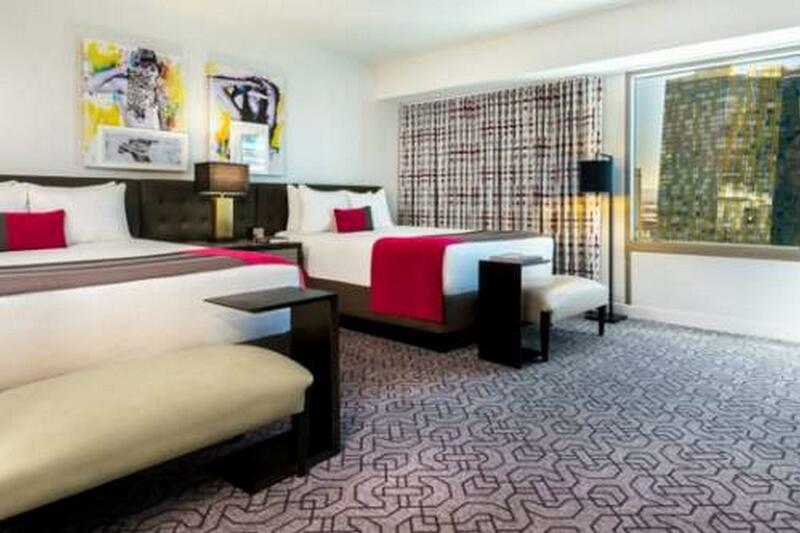 สถานีรถไฟโมโนเรล MGM Grand - ระยะ 0.91 กม.